While you are waiting for R1 2019 applications to go live, this is an ideal time to review your social media presence in case one of the 35% of adcom members who said they’ve checked out an applicant’s profile online looks at YOURS! While some MBA programs, such as Columbia, ask you to submit a photo in your application, most programs do not. If adcom does view your LinkedIn profile, they want to see a photo that looks like you would excel in the MBA recruiting process—which means a headshot and traditional business attire. Scrub casual photos or an action shot at the summit of a mountain. When I was on the adcom side reviewing an applicant’s LinkedIn profile, I liked to see the magic number of 500+ connections. This number gave me confidence that the candidate had already built a strong network that could be leveraged in the MBA recruiting process. If you are not there yet, reconnect with high school and college classmates. Send requests to colleagues in your company and in other professional associations and community leadership activities. While this may seem obvious, I have reviewed the LinkedIn profiles of some applicants and found discrepancies. Don’t give adcom an opportunity to question the validity of any dates or titles in your application. Be sure the dates and titles listed on your company’s website and your LinkedIn profile match your resume and online application. Link to articles you have published or to articles that highlight the impact you have made through your professional or community experiences. Reach out to your professional network to ask for recommendations and endorsements highlighting specific contributions. If adcom glances at your profile and reads a glowing review, you have effectively submitted an additional positive recommendation. 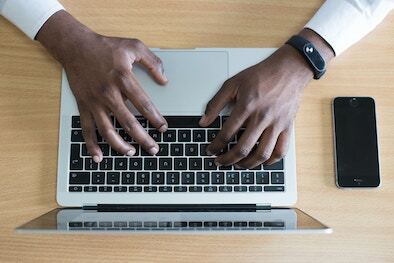 Create a summary statement in first person (rather than third which can sound pretentious) to highlight your leadership and professional impact. Avoid generic buzzwords like “organized” or “creative.” Connect with your answers to Why MBA? And Why Now? Use the “Volunteer Experience” section to highlight the organizations you were involved with in college and beyond. There is ample space—much more than you have on your resume—to add key details about your ability to drive impact in these organizations. Highlight ‘extras’ that may have fallen off your resume in the ‘Accomplishments’ section – continuing education in your area of interest – such as Python classes or additional certifications and honors or awards not mentioned elsewhere. Follow companies and organizations that align with your post-MBA goals. If the companies you follow are investment banks yet your application notes that you want to go into social impact consulting, it may raise a red flag. Customize your profile URL to your name and include this simplified link on your resume so adcom can easily find your profile. Proofread. 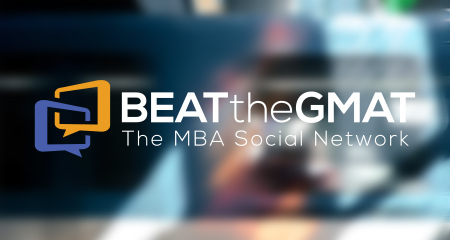 Use LinkedIn to your advantage to enhance your overall MBA application. Next, review all other social media platforms to make sure everything supports the message you want MBA programs to see.